Hasbro G.I. Joe Q&A – August edition | The Fighting 1:18th! 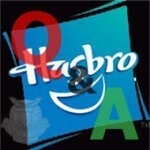 Well we got back the questions from Hasbro finally. Here are the questions that we submitted. Sorry, I had to try to get the final scoop on the Data Viper. I just can’t let it go. Q) Would you consider putting extra heads in figure packaging that would be a nod to ARAH enthusiasts? Say you use the Duke name that the retailers want but you add something like a Foot Loose head to make the fans happy. The retailers still buy because of name recognition and the fans buy for the figure they desire. A) We often include extra heads with many of the figures (Snake Eyes, Dusty, Zartan, Jungle B.A.T. to name a few). We’ve also worked very hard to develop figures that the fans have been asking for like Sci-Fi and Techno-Viper. Typically we like to keep the heads related to the figure in pack to avoid confusion (except for Zartan). We don’t have plans to do heads that are for completely different figures. Q) Will you consider modernizing the GI Joe brand similar to the POC figures and the 12″ figure that have just come out? POC seemed to be liked by most fans and kids may not relate to a figure that was made in the 80’s. A modern look could possibly draw in the kids that eventually needs to pick up the line. Q) What is the final word on the Data Viper? At SDCC we were told it was canceled and other outlets have said it will come in some form. A) This figure has been cancelled for the immediate future.